Prague’s newest designer Hostel with its own Bar and Café. Only a stone's throw away from the town centre. This modern-design hostel is in a beautifully restored 19th century building. It features its own comfortable bar and café, is located close to the center, and is on one of the best tram routes in the city. This hostel is an ideal base to explore ancient Prague. A secure luggage room and safe deposit boxes are available. 24-hr reception, no lock-out, and no curfew. Our helpful and informative staff will be happy to look after you! 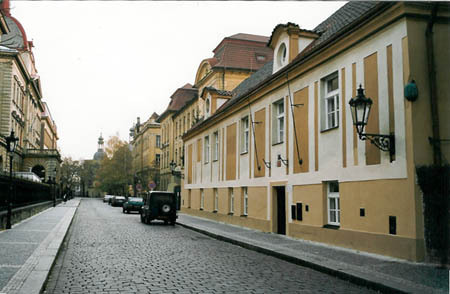 Hostel U MELOUNU is located in the center of Prague in a historical building with great facilities. 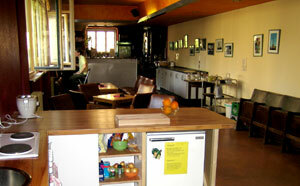 From 1st December 2005 Hostel Rosemary can offer you private fully equipped apartments. You can choose from single, twin, triple, quad room with private bathroom and kitchen. Feel like at home - rent a flat for short time at hostel prices and get private comfort and independance. All the rooms have hot shower, sheets included, towels.. and more coming soon... Breakfast is not available now, but there is a bakery near by and a groceries store. We will give you all the information you will need before your arrival or during your stay. If you wish to take your pets on holiday, its no problem. Everybody is welcome to feel like home. Walking distance from all famous sights. Just 2 minutes walk from : the Main Train station, Old Town Square and Weceslas square. We are waiting to meeting you soon. The Emma Hostel is ideal even for the most demanding customers. It is located in the centre of Prague, only three minutes of walk from Charles Square and ten minutes from the Charles Bridge. If you want to enjoy the night life of Prague, you'll be satisfied in our hostel. In its vicinity, there are many clubs, discos, cosy pubs and bars. But you won't be bored during the day, either. The Emma hostel is in the centre of Prague, you don't have to spend your money on trams, buses and the underground ? you'll get to every well-known sight without any effort on foot. And if you get bored by bummeling through Prague, you can set off on a cruise on the river Vltava, it is only three minutes of walk from the hostel. We want our customers to feel really good in our hostel and we are willing to do anything for it. That is why we offer comfortable accomodation in clean and nicely furnished rooms, including clean sheets and towels. The bathroom and toilette which belong to the rooms have been reconstructed recently. That is not all. There is a non-stop reception desk in our hostel, where the staff will help solve any of your problems. At the reception desk, there is also refreshment available (coffee, beer, baguettes, etc. ), as well as necessary drugstore items. The Internet, baggage storage and a safe where you can deposit your valuables is at your disposal for free.